For thousands of years, Indigenous Peoples have resided in and relied on the boreal forest, both in terms of physical subsistence and spiritual wellbeing. Today, there are more than 600 primarily Indigenous communities in the Canadian Boreal, many of which continue to practice longstanding traditions and uses of the land. From large game like moose and caribou to smaller mammals such as beaver and rabbit, many common boreal mammals continue to provide food, clothing, and tools for the Indigenous Peoples that reside in the forest. Fish and waterfowl make up significant portions of the diet of many remote communities as well, which are often only accessible by small aircraft. 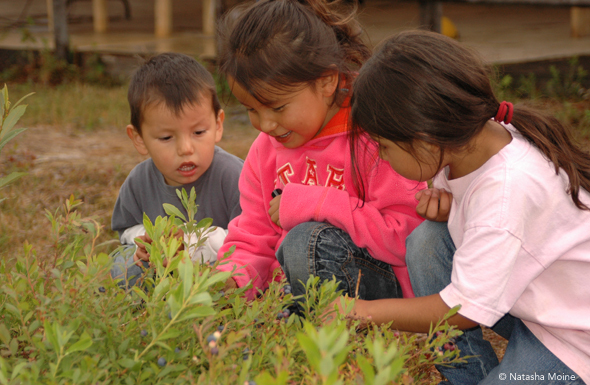 Native trees, shrubs, grasses, lichens, and fungi also feature prominently within Indigenous cultures by providing food, medicine, shelter, and materials. 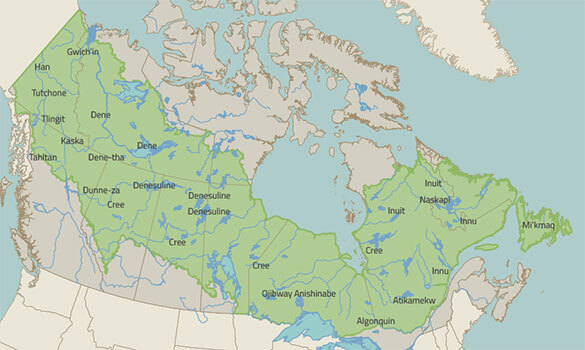 Industrial development is increasingly affecting these northern communities. More than 17,000 members of Indigenous communities are employed directly by the forest products industry, generating income in areas where employment opportunities are sometimes hard to find. However, industrial development continues to push further and further north into the boreal each year, in many cases without the approval of affected First Nations nearby. As communities adapt to these new circumstances, it is of immense importance to recognize their role as stewards of the forest and to preserve the cultural values of their heritage. In many areas, First Nations are at the forefront of comprehensive land-use planning, recognizing the need for a healthy future for their lands while still allowing economic opportunities to remain viable for the future. Outcomes have has been shown to improve when Indigenous Peoples maintain leadership in the decision-making over the future of their lands. Free, Prior, and Informed Consent (FPIC) is the principle model for creating a sustainable relationship with affected Indigenous communities when considering industrial projects on traditional lands. It provides affected communities the opportunity to understand both the potential impacts and benefits the project will have for their community, and ultimately retain the right to provide or withhold consent to the proposed project. Traditional knowledge is increasingly gaining attention and recognition throughout the scientific community as an important complement to the scientific model of data collection and analysis. 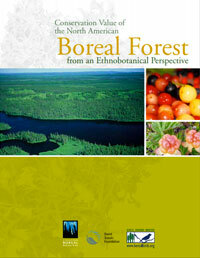 In many remote regions of the boreal forest, traditional knowledge remains the best source of information for regional geographic features, species status and health, and alterations in landscape including from climate change. In this sense, the fusion of scientific methodology and traditional knowledge is of immense use in preserving the many ecological values the boreal forest holds. The 2010 North American Caribou Workshop, for example, hosted both scientific and Indigenous speakers and was focused on traditional knowledge of caribou.